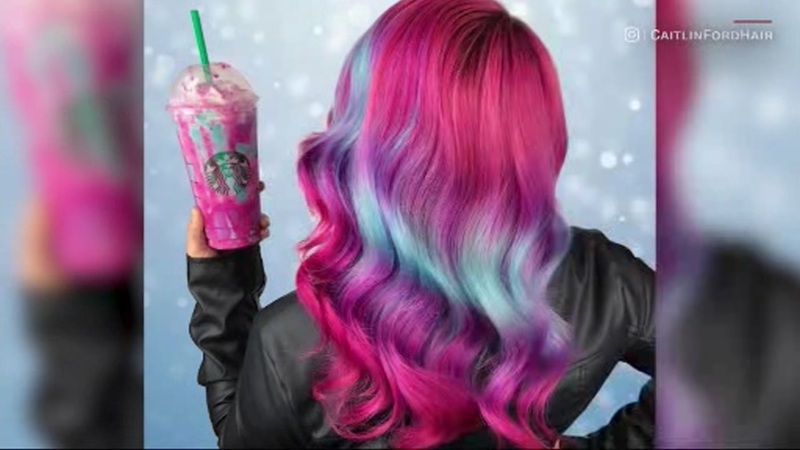 CANADA -- Starbucks' unicorn frappuccino has inspired a new hair trend. A stylist in Winnipeg, Canada, came up with the whimsical color combinations. One version of the style even topped hair off with a green straw. Some think it's sweet, while others are a bit sour on the trend.